Keima Katsuragi can score with any girl he wants. Provided that she's not real. 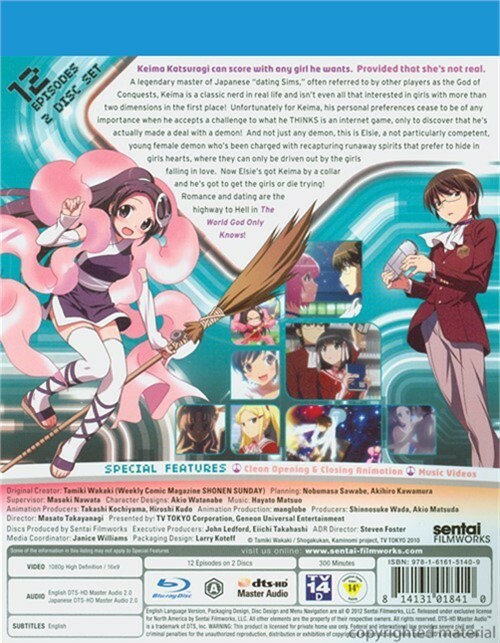 A legendary master of Japanese "dating Sims," often referred to by other players as the God of Conquests, Keima is a classic nerd in real life and isn't even all that interested in girls with more than two dimensions in the first place! 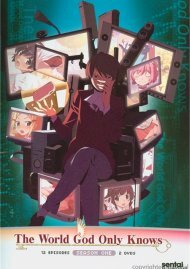 Unfortunately for Keima, his personal preferences cease to be of any importance when he accepts a challenge to what he thinks is an internet game, only to discover that he's actually made a deal with a demon! And not just any demon, this is Elsie, a not particularly competent, young female demon who's been charged with recapturing runaway spirits that prefer to hid in girls hearts, where they can only be driven out by the girls falling in love. Now Elsie's got Keima by a collar and he's got to get the girls or die trying! 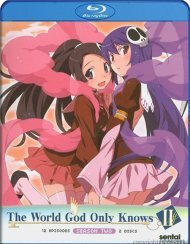 Romance and dating are the highway to Hell in The World God Only Knows! 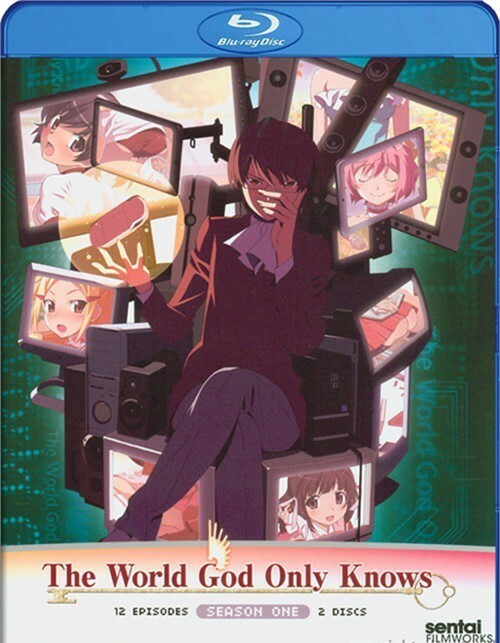 Review "World God Only Knows, The"
Reviews for "World God Only Knows, The"